Spring seems to be a long way off, but with St. Patrick’s Day coming up, it signals a start to a season change. 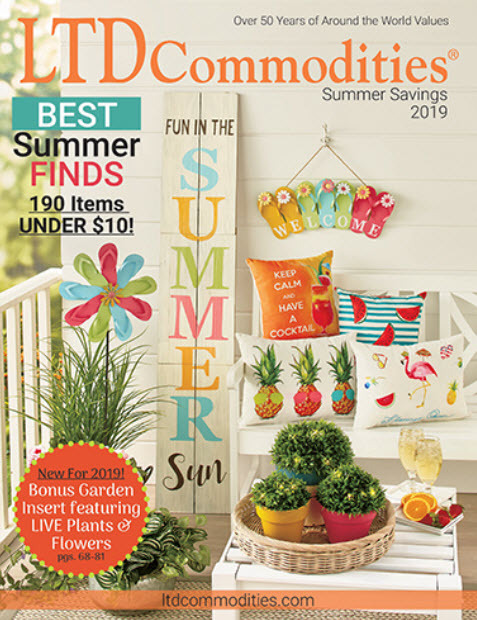 While we want to wear green to honor the day, we’re also outfitting our homes in green to give them an easy, breezy feel for the coming months. With that in mind, here are this week’s Items We Adore: Product Picks for St. Patrick’s Day. 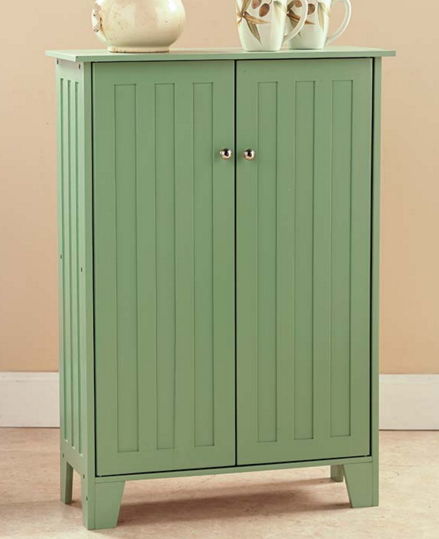 The Beadboard Storage Cabinet is a versatile addition to your home. This storage unit features an extended counter top, a spacious interior with a shelf, and a wide-footed base. The beadboard detail covers 3 sides of the cabinet. Stylish chrome pulls adorn each magnetic, double hinged door. It easily fits into small spaces, yet offers lots of storage. 21″W x 8-3/4″D x 30″H. MDF. Assembly required; assembly hardware included. Add some sparkle to your home with a Spring Holiday Heart Wreath. Colorful wreath features a base covered with glittery themed accents. 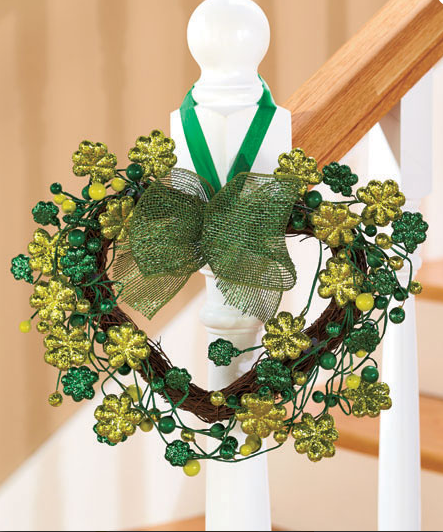 A large mesh bow provides the finishing touch, and the wreath hangs by a coordinating ribbon. 12″ x 13″. Rattan, plastic and polyfoam. 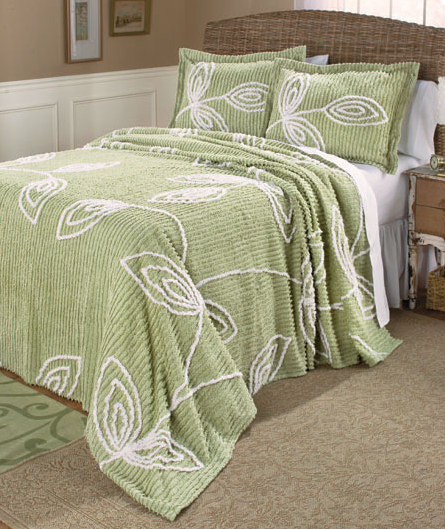 Give your bedroom a fresh, new look with the Jasmine Chenille Bedspread or Sham. White leafy vines cover rows of tufted cotton in soothing colors that create a calming atmosphere. Full/Queen Bedspread, 102″W x 118″L. King Bedspread, 118″ sq. Sham, 26″W x 20″L. Machine care. Imported. The colorful plaid print of the Women’s Feminine Fit Flannel Shirt can be worn many ways. Use it on its own, under a cardigan or sweater, or over another top. Extremely soft, this full-button front shirt will keep you warm when things get chilly. The shirt has 2 front chest pockets. Lengths are 27-1/2″, 28″, and 28-1/2″. Cotton. Machine care. Imported. The alternating colors of the 5-Pc. Snap-Fit Measuring Set by Progressive make it easy to find the measurement you need. 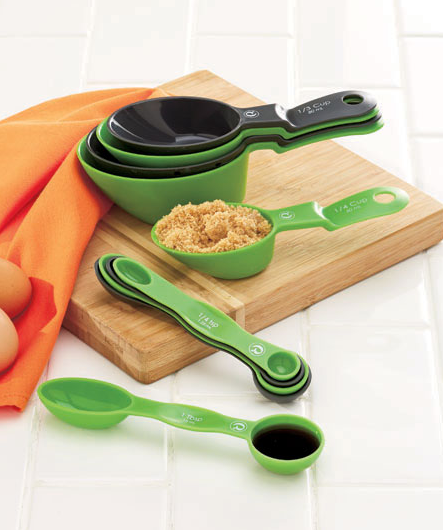 The oval shape of the measuring cups set gives you more access to narrow containers and jars, too. Set nests for compact storage. ABS plastic. Dishwasher safe.